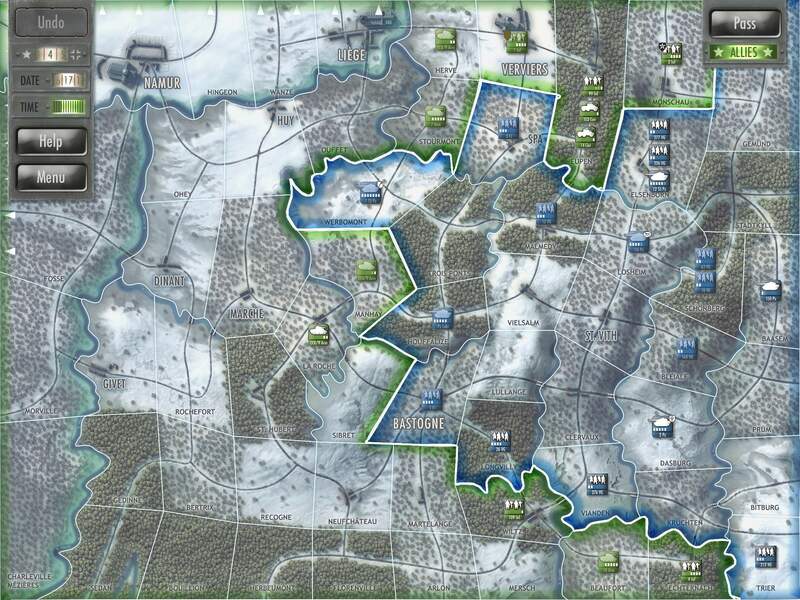 John Butterfield’s historically accurate and award-winning turn-based strategy wargame, Battle of the Bulge, has just received a big v2.0 update which adds Universal app support, some additional localization and a Player’s Guide with strategy tips from some of the game’s top players. If you are unfamiliar with Battle of the Bulge, it first got its start thanks to a massively successful Kickstarter Campaign. The game simulates Hitler’s last gamble: an offensive to crack the Allied lines in December, 1944. A surprise attack, countered by a desperate defense, culminates in bold counterstrokes. Pieces represent actual military units fighting on the terrain of the famous World War II battle. You are in charge, it is your tactical decisions that will determine who wins the war. Whether you are playing through the lengthy campaign mode or against other players online or on the same device via Pass and Play, there is always a battle to be fought and a strategy to be tested. Using a simple series of taps and swipes you can (now) survey the battlefield and command your army from any iOS device (big or small) in this approachable yet deeply strategical and historically informative game. You should definitely at least try out the free demo version of the game, or pick up the paid version at a 40% discount for a limited time during Shenandoah Studio’s update sale.